With 150 miles of pristine coastline, 27 miles of sublime beaches and an enticing overall annual temperature of 72.7 degrees, it�s no wonder that Manatee County is a magnet for people looking for a great place to live and work in Florida. Led by a five-member School Board and Superintendent Dr. Diana Greene, the school district is Manatee County�s largest employer with more than 5,300 employees and staff members. Together, with the help of thousands of individual volunteers and corporate business partners, the men and women of the Manatee County School District work daily to enhance the community by nurturing and sustaining the dreams and aspirations of more than 46,000 students district-wide. One of the main high schools in the district Manatee High School in Bradenton, Florida was looking for a new ID badge solution that would help keep their students and taff safe and secure at all times. Manatee High School enrolls over 2,000 students in grades 9-12 and provides quality education to Florida residents. that the school faced was dealing with an open campus where multiple people entered and exited the building on a daily basis. The school wanted a way to keep track of all visitors and ensure the school could verify students and staff. With 15 rooms in the high school that included classrooms, a gymnasium, portable classrooms, and offices, the high school needed a way to track all access points throughout the campus. Another issue the school faced was tardy students wandering the halls after classes started. It was important to confirm the identity of late students and help control who walked through the school�s hallways. In today�s world, it�s imperative to have an emergency system in place and know who is in your building at all times. There is no room for error and the school was looking for an ID card solution that could put their mind at ease. A few years ago, Manatee High School started looking for a new ID vendor when they came across IDSecurityOnline, a leading provider of ID card printers, photo ID systems, ID card software, card printer supplies and badge accessories. �A huge challenge for the school was continually having students lose or break their ID badges. Now that we have our own ID card printer on-site, we are able to print replacement badges very quickly.� states Adriana Olarte, Discipline Secretary at Manatee High School. 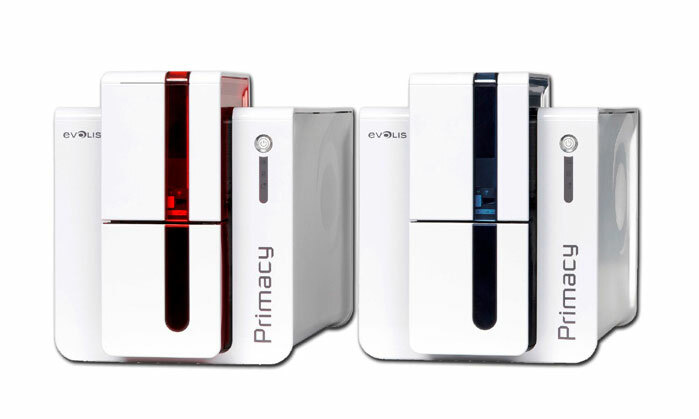 The school purchased (2) Evolis Primacy ID card printers from IDSecurityOnline to take matters into their own hands by printing ID badges on-site for all staff and students. IDSecurityOnline also provided all card printer supplies and badge accessories, including lanyards. All students, staff, and visitors were required to wear a photo ID badge and no one would be allowed on the premises without one. Each student badge includes the student�s name, photo ID, graduation year, and barcode. All employee badges feature the staff member�s name, photo, and title. Around 150-200 staff badges were printed at the school and over 1,000 cards were printed for new students. Also, a high rate of badges were lost on an annual basis and reprinted before or after school by the school�s discipline secretary. In addition, the student ID cards could be scanned in the cafeteria to pull up important account information on various lunch programs available to the student. �We are very satisfied with the solution that we implemented and with the quality of service that we received from IDSecurityOnline. Having the right ID card system helped us be more efficient while enhancing security at the school� states Adriana Olarte. �Our goal at IDSecurityOnline is to work closely with our customers and advise on the right ID card printer that meets their needs,� states George Ciottone, VP of Sales at IDSecurityOnline. �We were right there with Manatee High School to help them select the best onsite printer that would be able to handle a high frequency of badges being printed at the school.� The Importance of Identifying Students Manatee High School has reaped the benefits of an ID card system by being able to account for students even in an emergency situation. If a student is ill or not feeling well, the school has the ability to identify the student quickly with pertinent information printed on the ID Badge and contact family members immediately. The importance of identifying a student quickly in an emergency situation is crucial to schools everywhere. With the right ID card solution, schools can be prepared for any type of emergency � large or small on a moment�s notice. In addition, parents in the community can relax knowing their children are in good hands at all times during the school year. Having the right ID card solution is the first step to making schools safer not only for students; but the staff members who are dedicated to providing a quality education for students. IDSecurityOnline allows schools to focus on what they do best � providing curriculums and activities that help students succeed � without the need to worry about security.